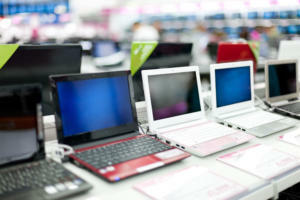 PCWorld's editors name the top tech products of 2013, ranging from PCs to productivity software. What a year 2013 turned out to be. We saw all-new PC form factors, interesting innovations in mobile hardware, and an explosion of gadgets in the home tech and entertainment spaces. And after testing, beating on, and writing about hundreds of products, the editors at PCWorld and TechHive have carefully compiled a list of our 50 favorites. 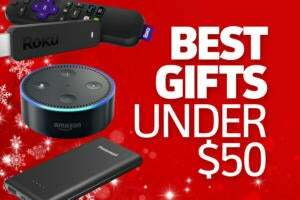 But since all work and no play would render us all dull, we’ve also included a handful of tech toys, entertainment devices, and games as well. Read through the list and see which of your favorites made the cut. With its fourth-generation family of Core processors, code-named Haswell, Intel set out to prove that it could build a supremely power-efficient CPU—and the company delivered in spades. Haswell chips are only slightly faster than the generation of microprocessors they replaced, but they enable notebooks to run considerably longer on batteries. You’ll appreciate the energy savings that the desktop models deliver, too. AMD, meanwhile, remains more than a generation behind Intel in every metric—apart from graphics. And it’s true, AMD’s CPUs remain superior on that one count, no matter how much Intel crows about its Iris and Iris Pro integrated graphics. Still, no one will buy a slower CPU just because it delivers better graphics. Motorola’s best Android phone doesn’t boast the most impressive specs or the biggest screen. What the company delivers instead is an eminently usable smartphone that will make your life more convenient. Sensors built into the Moto X detect when you’re holding the phone and automatically display the time of day. The Active Display feature activates the display each time you get a notification, so you can see which app is trying to get your attention instead of having to guess. Touchless Control sits atop Google Now, so you can speak commands to the phone without any other interaction. And those are just two of this phone’s great features. The Razer Blade certainly earns its name, measuring just 0.66 inch high despite packing a high-end Intel Core i7 processor, a discrete Nvidia graphics processor, 8GB of memory, and a 256GB solid-state drive. Those components enable this ultra-low-profile gaming laptop to deliver performance that’s nearly on a par with that of thicker, heavier desktop replacement laptops such as the Origin EON 17-S. What’s more, it delivers more than twice the battery life. If you want to play cutting-edge games such as BioShock Infinite off the grid for hours at a time, the Razer Blade is the notebook you’re looking for. 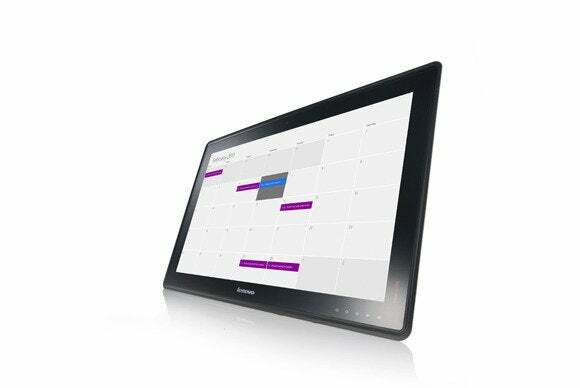 Sony deserves credit for creating the all-in-one/tablet hybrid in 2012, but Lenovo took the concept to its logical extreme with the IdeaCentre Horizon 27. This oversized all-in-one is a very good family PC with a 27-inch touchscreen display and wireless peripherals, but when you unplug it from the wall and take it into the living room, you can enjoy more than three hours of family gaming fun without having to worry about bringing the power supply with you. Mount this computer to its optional roll-away cart, and you’ll never want to be deskbound again. Microsoft and Sony both launched major new game consoles this year, but Microsoft’s Xbox One makes our list because it’s a complete home-entertainment system that caters as much to our love for TV and movies as it does to gaming. The launch titles—including Forza Motorsport 5, Ryse: Son of Rome, and Dead Rising 3—make excellent use of the platform. The hardware itself integrates easily into the rest of the gear in our home-entertainment system, and we can control everything with voice commands. The new console needs some minor tune-ups—the hand-gesture navigation is particularly annoying—but Microsoft nailed the hardware. The Xbox One will only get better over time. Critics will say that Apple is running out of tricks, but the latest iPad rewrites the rules of how thin and light a full-size tablet should be. Consider: The Air delivers a 9.7-inch, 2048-by-1536-pixel display, yet measures a seemingly impossible 0.30 inch thick and weighs almost exactly a single pound. To put this in context, the new Surface 2 measures 0.35 inch thick but weighs a full half-pound more than the Air. 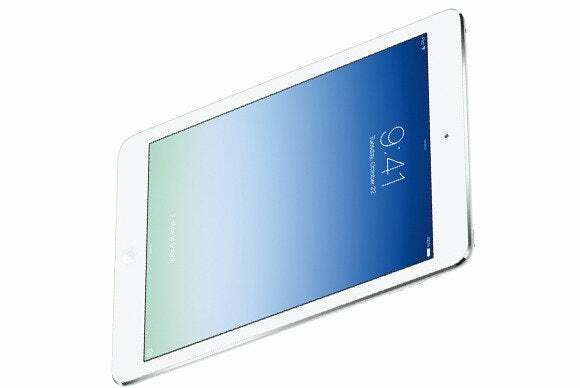 Add in Apple’s new A7 processor and access to the world’s greatest mobile-app store, and the iPad Air can’t be ignored. 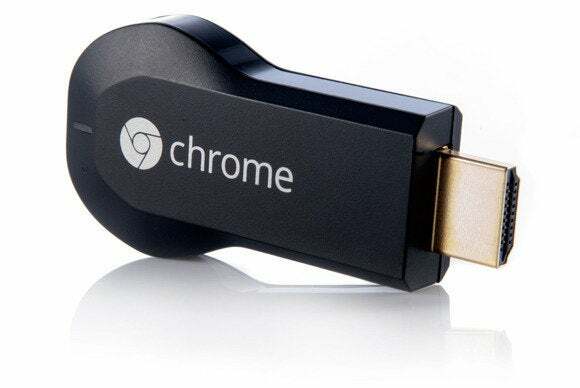 The concept is simple: First, plug the Chromecast dongle into a free HDMI port on your TV, and power it up with USB. Next, fire up a video streaming service from your phone, tablet, or PC. It could be Netflix, YouTube, or Google’s Play Movies & TV. Boom! You’re streaming—or rather “casting”—that video to the big screen. It’s a simple, elegant, $35 solution to the often vexing problem of getting modern cloud content onto aging TVs that lack smart features. Chromecast for the (very inexpensive) win. 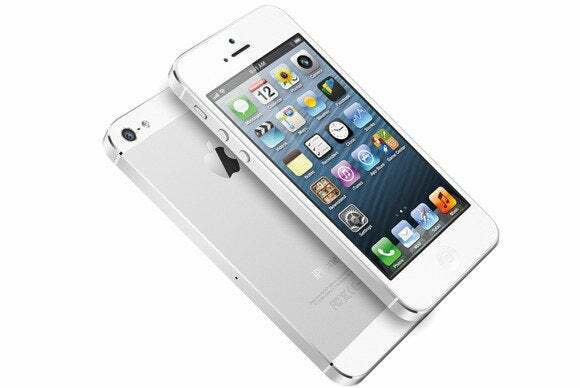 Apple's iPhone 5s may still be lagging in terms of screen size (a 4-inch display feels very 2011), but the company’s new Touch ID fingerprint sensor elegantly solves a smartphone pain point, and anyone who struggles with number code and gesture locks on Android devices has to take note. The new A7 processor provides a palpable performance boost, and a new Slo-Mo video mode adds a nifty trick we’d like to see in all smartphone cameras. Add in the fact that some important mobile apps are available only for iOS, and you have an iPhone line that remains as fresh and relevant as ever. 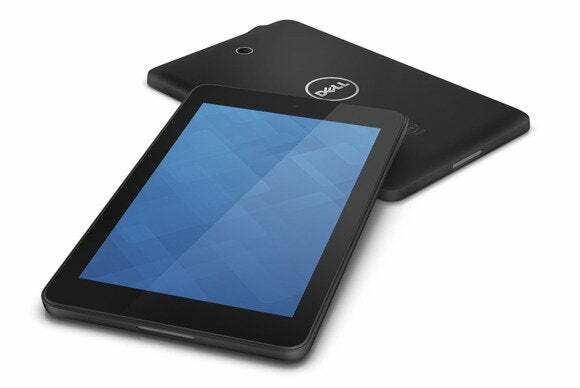 The iPad mini is a great tablet, but when you need to be productive as well as entertained, we recommend Dell’s Venue 8 Pro. 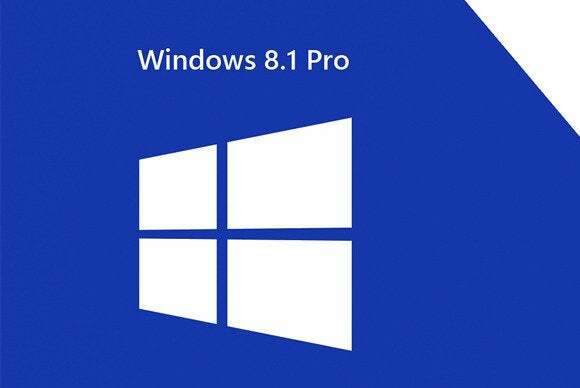 Powered by Intel’s power-sipping Atom processor (code-named “Bay Trail”), the Venue 8 runs the full version of Windows 8.1 and delivers all-day battery life. If you need more than 32GB of storage, just plug in an SD card—or pick up the 64GB model, which costs just $50 more. The Venue is very comfortable to hold, and text, webpages, and video all look great on its 1280-by-800-pixel display. 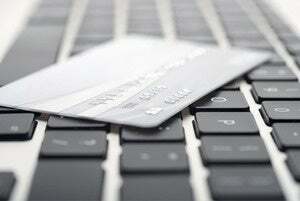 An army of advertisers and data aggregators are constantly tracking our Web browsing habits. It’s an unseemly practice, because how and what we browse online reveals so much about us. Enter Abine’s DoNotTrackMe, an easy-to-use third-party browser plug-in that prevents websites from tracking your online meanderings and skimming personal details from what it finds. A dashboard lists the sites you’re currently blocking, and recommends more that are known to track browsing behavior. Version 3.0 of the plug-in adds tools that mask any of your personal or financial information that might be exposed while you’re shopping online. No game is perfect, but Bioshock Infinite comes exceedingly close. This game has it all: a richly imaginative plot, exquisite graphics, nearly flawless gameplay mechanics, and a fabulous soundtrack. And unlike some other ambitiously designed games, this one won’t bring your average PC to its knees. It will take full advantage of any state-of-the-art gaming rig; but dial down the resolution just a wee bit, and you’ll get a great experience even with integrated graphics. If you buy only one PC game this year, make it Bioshock Infinite. This was by far the fastest and most beautiful all-in-one PC to come through the Lab this year. Dell's XPS 27 boasts one of Intel’s most powerful quad-core CPUs, 8GB of memory, a 2TB hard drive with a 32GB SSD cache, and a discrete graphics processor driving a gorgeous 27-inch touchscreen with 2560-by-1440-pixel resolution. This family-oriented PC can play games, tackle high-end jobs such as photo and video editing, and play HD movies better than many tower PCs. When you think of Intel’s Ultrabook standard, a sleek, powerful, absolutely beautiful notebook like Sony’s VAIO Pro 13 is what comes to mind. With a chassis wrapped in carbon fiber, the VAIO Pro 13 measures just 0.68 inch thick and weighs only 2.34 pounds. The 1920-by-1080-pixel display benefits from Sony’s expertise in building high-end TVs, and the 128GB SSD helps the machine bust benchmarks while delivering strong battery life of more than six hours. The only area this Ultrabook doesn’t excel is in games, due to its reliance on integrated graphics. Asus’s latest router isn’t the absolute fastest 802.11ac model on the market—that distinction goes to D-Link’s DIR-868L—but the RT-AC68U has the best overall feature set and it’s only very slightly slower than D-Link’s offering (and in some benchmarking scenarios, it was much faster). The RT-AC68U is a good choice whether you’re a consumer looking to stream HD video all around the house or a small business that needs features such as multiple guest networks, a VPN server, storage in the cloud, and the ability to fall back to a 4G USB modem should your wired connection to the Internet fail. You might also want to read our picks for the best and worst routers of 2013. Slowly but surely, Fitbit has refined its step- and sleep-tracking hardware over the past few years, and it all culminates in the Force. This simple wristband includes a bright OLED display that reveals your steps taken, miles covered, floors climbed, and calories burned, all in real time. The display can even function as a simple digital watch. Sync the wristband with your smartphone or desktop PC, and you can drill further into your step data, and also learn more about the quality of your sleep. The Force may not make sense if you already wear a wristwatch, but otherwise it’s one of best activity-tracking wristbands around. Owning Connected Data’s Transporter 2.0 storage device (or its kissing cousin, the Transporter Sync) is exactly like subscribing to Dropbox or one of the many other cloud-based storage services. When you save a file to your PC’s hard drive, a copy of that file is automatically sent to your Transporter via the cloud. That file is then copied to every other PC you own (provided, of course, that you’ve installed the Transporter software on them). What’s even better is that if you buy two or more Transporters and install them in different physical locations, they’ll all sync to each other to give you disaster-proof redundancy. With Samsung’s NX300, you can shoot stellar photos without even touching any of the camera’s controls, but take a little time to explore its many impressive shooting modes, and you’ll be rewarded with even better shots. The NX300 has a raft of other innovative features, too, including a tilting 3.31-inch AMOLED viewfinder display, built-in Wi-Fi and NFC (near field communication) for wireless file transfers, and the ability to sync the camera to your smartphone. Samsung bundles a copy of Adobe Photoshop Lightroom, which you can use to edit Raw files from the NX300. This is an outstanding compact camera. Sonos is the king of multiroom audio, but you could spend a king’s ransom outfitting every room in your home with a node. The new Sonos Play:1 changes that equation. It’s not powerful enough to fill any room with sound, but with a price tag of just $199, you can afford to sprinkle these self-powered networked speakers throughout your home without breaking the bank. They’re versatile, too: Deploy two and you can configure them as a stereo pair. Or link a pair with a Sonos Playbar to create a wireless surround-sound system for your HDTV. Behold one of our favorite tablets for consuming content on the go: Google's second-generation Nexus 7. For just $229, you get a 1980-by-1200-pixel display, wireless charging support, a 1.5GHz processor, and 2GB of RAM. But perhaps best of all, in a tablet world that’s sullied by “forked” operating systems (see the Kindle Fire HDX) and home screens littered with manufacturer-imposed shovelware (see pretty much any Android tablet not sold by Google), the Nexus 7 offers a pure Android experience. So, among other things, it will receive the most urgent updates of the latest system versions from Google. You won’t find a cloud-connected security camera that’s easier to set up and use. This latest version of the Dropcam line includes improved optics, better night-vision video quality, and a wider picture that increases the field of view from 107 degrees to 130 degrees. In addition, an Enhance button sharpens fuzzy video when you zoom in on content. Set one up at home, and you can receive alerts on your smartphone whenever something (or someone) triggers a motion detector on the camera itself. And because all your video is stored in the cloud, thieves can’t steal evidence of the break-in—even if they manage to steal the camera itself. Other Android phones might have fancier software features, but the HTC One managed to finish the year with the best industrial design in the Android handset universe. We love the phone’s satiny aluminum unibody (it’s as handsome as it is sturdy). And the pronounced, front-facing speaker grilles telegraph the volume and clarity of the phone’s Beats audio system. A bright LED on the top grille even lets you know when you have notifications waiting. Add in a great camera for low-light situations and a breathtaking, 1920 by 1080, 4.7-inch screen, and the One is still a contender some eight months after it was released. If the IdeaCentre Horizon 27 is too big and expensive for your needs, take a look at Dell’s XPS 18 all-in-one/tablet hybrid. But be sure to add the optional stand to your cart if you buy one.The stand delivers much better viewing angles than the flip-out feet on the tablet, and it will charge the device while it’s docked. The XPS 18 measures just 0.7 inch thick and it weighs less than 5 pounds, which makes it easy to move around the house. And since it has an Intel CPU and wireless chipset, it can stream video and audio to any TV or adapter that supports Intel’s Wireless Display (WiDi) technology. Okay, Nvidia’s GeForce GTX 780 Ti is the faster video card. But we think AMD’s Radeon R9 290X delivers more innovation. And with a price tag of $550—compared to the GTX 780 Ti’s $700 sticker—it delivers a lot more bang for the buck. When a video card can deliver a game like BioShock Infinite at Ultra visual quality and 4K resolution (that’s 3840 by 2160 pixels) at 30 frames per second, how much more bang do you need? We’re also super excited about the prospect of seeing game developers take advantage of AMD’s True Audio technology, which uses integrated DSP cores to offload audio processing chores from the CPU. If you’re a true TV aficionado, and you’re still renting a crappy DVR from your cable company, put down the remote, jump online, and buy a TiVo Roamio Plus (1TB of storage), the Roamio Pro (3TB of storage), or—if you’re a cable cutter—the plain ol’ Roamio (it comes with an ATSC tuner for recording over-the-air HD broadcasts). 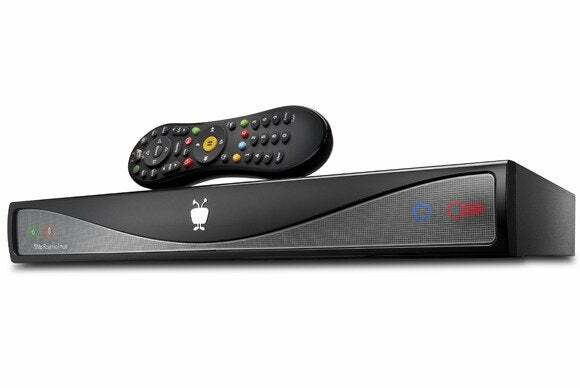 In addition to recording live TV, TiVo’s latest DVRs can play Netflix and YouTube videos; they support sports apps such as MLB.TV; you can transfer recorded shows to mobile devices; and you can watch live TV from remote locations. Note: The Roamio with the ATSC tuner needs the companion TiVo Stream box for these last features. When you need to move a lot of gear from point A to point B without contributing to global warming by using an exhaust-spewing internal combustion engine, Chrome’s Bravo Night can get the job done. This backpack boasts 20 liters (1220.5 cubic inches) of storage space, and you can nearly double that amount by unrolling its top flap. 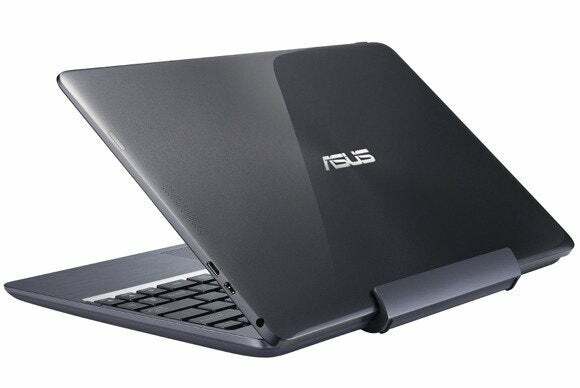 A second compartment can accommodate up to a 15-inch notebook. Weatherproof denier on the outside and waterproof truck tarpaulin lining the inside keeps everything safe from the elements, and a large reflective panel on the back will ensure that motor-vehicle drivers see you at night. If you just want to snap images of Sunday brunch, please use your smartphone. But if your goals veer toward serious photography, the Canon Rebel T4i offers a wealth of advanced DSLR features at an affordable price. The 18-megapixel sensor offers great image quality, and the camera itself has a revamped autofocus system and an articulating touchscreen, along with a raft of features for video recording—especially if you purchase an optional image-stabilized, stepping motor lens. Most Chromebooks are small, clackety machines that are designed to hit a price point—and the results are usually disappointing. Not the Chromebook 14, if only thanks to its generous 14-inch display. But the machine also includes two USB 3.0 ports, 802.11a/b/g/n Wi-Fi, a Haswell-class CPU and a 16GB SSD. Most importantly, it just feels less cheesy than most other Chromebooks, from its cheerful color scheme to its overall solid build. This is one of the few Chromebooks you might actually enjoy using, and it’s not that much more expensive than the others. We don’t typically play games that look like they were designed for five-year-olds. Nor do we support the unchecked consumption of sugary sweets. Nor do we appreciate constant harassment from Facebook friends begging for extra lives. But if you can put aside the game’s treacly aesthetic and hectoring social media component, you’ll find true puzzle-game addiction—in the best possible way. Candy Crush Saga has become a cultural phenomenon—and with just a tad bit of embarrassment, we’ll confess we’re hooked. Yeah, that’s right. A laptop bag made our list. And if you ever get the chance to see (and touch) the Kobe in person, you’ll see why. The bag is sophisticated yet not exceedingly showy. Its design works for both men and women. And its leather chassis is supple and soft. 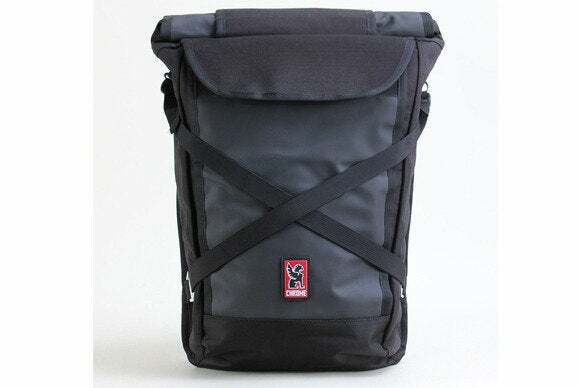 The Kobe is large enough for 15-inch notebooks, and has just the right amount of pouches, pockets, and zipped compartments to handle your sundry mobile accessories. Yes, it’s $325. But when compiling our top-50 list, we just couldn’t bear to part with the Kobe. It’s an extravagant pick, but it’s a keeper. To think that Google would dare design a machine so lavishly appointed, and so freaking expensive, just for the Chrome OS. The plan worked, though, as the Chromebook Pixel is a wonderful ambassador for Google’s vision of a browser-based future. Sporting a Retina-class, 2560-by-1700-pixel touchscreen, and framed by a burnished aluminum case, the Pixel is a stunning piece of industrial design. And if nothing else, the Pixel got people talking about the Chrome OS again—more so than any small army of crummy Chromebooks ever could have. Don’t ask the Pixel to be practical. It isn’t. But if you’re a Chrome OS supporter (as many of us are), it’s the top notebook in your fleet. Intel’s Next Unit of Computing (NUC) offers endless possibilities. Shipped in kit form—bring your own memory, storage, Wi-Fi adapter, and operating system—this diminutive and super-quiet computer would make a fantastic home-theater PC, but you could also bolt it to the back of a monitor and create your own all-in-one. The model D54250WYK we reviewed is equipped with a dual-core Core i5 processor, strong integrated graphics, gigabit ethernet, and both mini HDMI and DisplayPort video connections. This second-generation NUC packs a powerful punch. We see a ton of gaming keyboards every year, and some of them are very good. But a keyboard has to be fantastic to make our best-products list, and the Roccat Ryos MK Pro fits that description to an inverted T.
Roccat took its already excellent Isku FX keyboard and added mechanical switches. You can program each individual key to perform a custom function, and you can plug your headset—USB or analog—directly into the keyboard so you never need to perform a reach-around on your PC. Think of the Acer Aspire V7 as the Ultrabook for the masses. Despite measuring just 0.83 inch thick, it tips the scales at 4.7 pounds and looks downright corpulent compared to Sony’s heroin-chic VAIO Pro 13. But Acer’s machine packs a faster processor, a larger display, more memory and storage, and a discrete graphics processor at a street price that’s several hundred dollars lower than Sony’s. No one would describe the Aspire V7 as the ultimate Ultrabook, but it fits Intel’s definition and is a great value. For those regrettable (and hopefully rare) occasions when you have to be “that person”—that person who walks around town with a Bluetooth headset—you can help alleviate some of your misery by donning Samsung’s HM3300. It quickly pairs with your phone via NFC, comes with a variety of earpiece covers, and (most importantly) provides crisp, natural call quality. It even does an admirable job of blocking out wind noise. 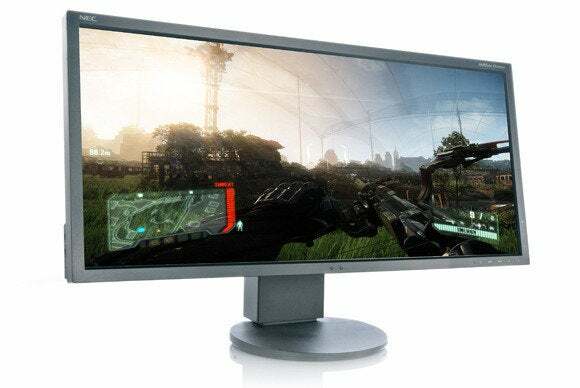 We reviewed several wide-aspect ratio monitors this year, but nothing topped NEC’s MultiSync EA294WMi. Not only is this monster display 29 inches wide (with a native resolution of 2560 by 1080 pixels), but the IPS panel can pivot into portrait mode to give you a skyscraper-tall view. It’s just the ticket for editing vertically oriented photographs and viewing websites and very long documents. The MultiSync delivers outstanding picture quality, and it’s outfitted with nearly every input you can think of (including Mobile High-Definition Link, for connecting an Android device to the monitor’s HDMI port). Gamers who underestimate the importance of audio do so at their (virtual) peril. Being able to hear an enemy is even more important than being able to see one, because making a full frontal assault is tantamount to suicide. That’s why gaming headsets have become such an important tool in the modern gamer’s kit. And the SteelSeries Siberia Elite headset is among the best of the best. Where most headset manufacturers place the volume/mute controls on tiny buttons in-line with the USB cable, SteelSeries puts them on an easy-to-manipulate wheel on the earmuff itself. These oversize earmuffs are extremely comfortable to wear, they sound fantastic, and they look even better. Offering decent performance along with great battery life, Intel’s Bay Trail processors occupy a winning sweet spot in the mobile space—and one of our favorite Bay Trail machines of 2013 is the Asus Transformer Book T100. Slap on the keyboard attachment, and this 10-inch Windows tablet becomes a formidable laptop with surprising speed, 11 hours of battery life, and a very low asking price. Indeed, hand it to Asus to undercut the competition on pricing while still offering great build quality, specs, and features. The Sphero is a robot ball that you control with a smartphone app. It glows. Its motor can push the ball to a hair under 5 miles per hour. It runs through obstacle courses. Improve your navigation skills, and you’ll be rewarded with level-up rewards—like extra boosts of speed, or Rainbow Drive, which makes the ball glow in different colors at full brightness. And there’s an SDK. One third-party app lets you use Sphero to practice your golf swing. Other apps tap into augmented reality. Let us repeat: It’s a smartphone-controlled robot ball. What are you waiting for? Sure, you might not “own” Office 365 the way you do Office 2013 proper, but that's still one sweet deal. With its Ouroboros gaming mouse, Razer proves that designing an ambidextrous mouse—and a wireless one at that—doesn’t require any serious compromises. In addition to being gorgeous to look at, the Ouroboros is completely customizable, physically and functionally, and it’s incredibly responsive and accurate (gaming purists can plug in its USB cable if they’re afraid of lag, but we didn’t experience any). 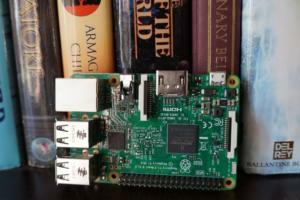 Most NAS boxes are relatively dumb storage devices that wind up hidden in a closet. Once they’re initially configured and connected to your network and then mapped to all your PCs, they’re quickly forgotten. QNAP’s TS-469 Pro shatters that mold—and it’s also one of the fastest NAS boxes we’ve tested. Where most NAS boxes use a crude graphical user interface, QNAP deploys an implementation of XBMC (an open-source, cross-platform media player and entertainment hub). And while the TS-469 Pro resides on your network (it wouldn’t be a NAS box if it didn’t), it also features an HDMI port and an infrared receiver, giving you the option of plugging it straight into your HDTV and controlling it directly using QNAP’s IR remote (optional) or QNAP’s free Qremote apps for Android and iOS. Purchasing a weather station is often a sign of impending old age. It’s like taking a sudden, unexplained interest in canasta. 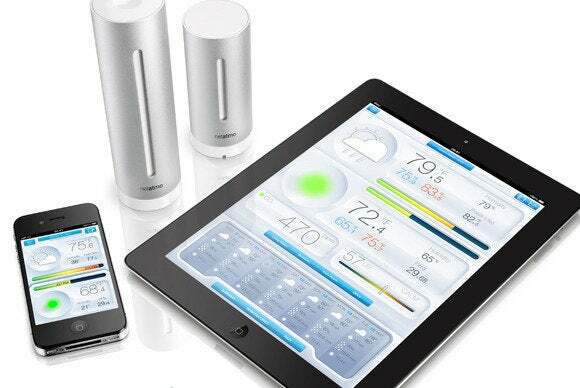 But Netatmo’s take on weather stations is so modern, so high tech, you can buy it without concern. The sensors’ industrial design is sleek and modern, and you can view various indoor and outdoor weather conditions (temperatures, barometric pressure, and air quality among other metrics) on a smartphone app. You can even share your readings on social media. Yes, so very, very modern. When designing a desktop replacement, most manufacturers throw weight considerations out the window. Not Toshiba. With the Qosmio X75 A7298, Toshiba’s engineers pack a 17.3-inch display, a Haswell-class Core i7 CPU, 16GB of memory, a 256GB SSD, a 1TB hard drive, and a Blu-ray burner into an aluminum chassis to produce a benchmark-busting laptop that weighs just over 7 pounds. If you’re into gaming or content creation, and you want to do it all anywhere you happen to be, the Qosmio X75 is the laptop to buy. If you’re in the market for an AirPlay speaker, don’t audition the $400 Bowers & Wilkins Z2 unless you’re prepared to buy one. After you hear it, you won’t want anything less. The Z2 looks beautiful and sounds even better. In addition to supporting Apple’s AirPlay wireless music-streaming technology, the Z2 has a Lightning connector so you can connect your newer iPhone or iPod directly to the speaker. Dual 20-watt amplifiers power a pair of 3.5-inch full-range speakers that deliver exceptional clarity and terrific bass response. We haven’t heard anything better in this price range. Besides being a sturdy, high-end scale that reports your weight and body mass index in real time, the WS-30 can connect with a smartphone app over Wi-Fi or Bluetooth to help you track your vital measurements over the long haul. It can automatically recognize eight different family members to make sure the right data is pushed to the right mobile app. But most of all, we dig how the WS-30 syncs with partner apps. For example, you can see your weight and body mass numbers directly in Jawbone’s UP wristband app. Anyone down for a quantified selfie? Ridicule gargantuan tablets all you want. The Galaxy Note 3 may sport a gigantic 5.7-inch screen, but all that screen real estate is awesomely useful, the smartphone offers great battery life, and the included S-Pen stylus is incredibly useful if you like taking longhand notes. A 2.3GHz processor and 3GB of RAM help power this massive device, and what you end up with is a smartphone that practically eliminates the need for a 7-inch tablet. Massive smartphones aren’t going away—and the more we use them, the more we like them. And the Note 3 is pretty much the best “tablet phone” around. Don't miss our video celebrating the top 5 winners.